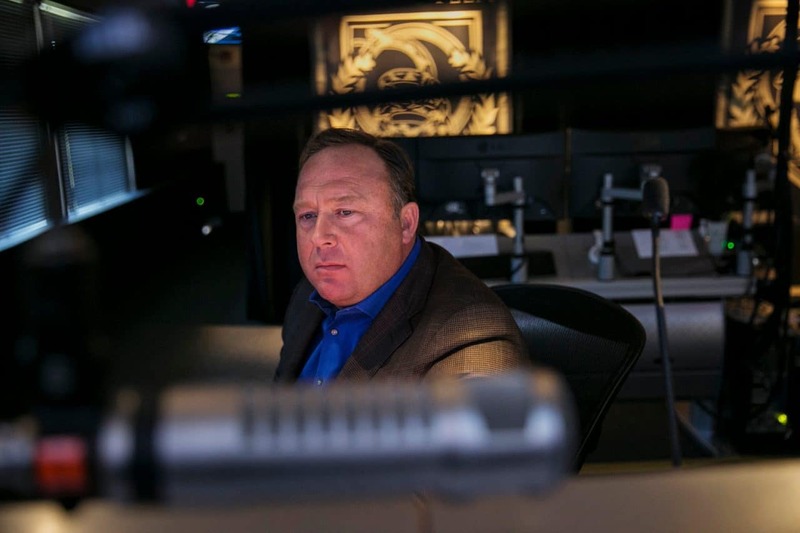 Top technology companies erased most of the posts and videos on their services from Alex Jones, the internet’s most notorious conspiracy theorist, thrusting themselves into a fraught debate over their role in regulating what can be said online. But since a rise of misinformation online around elections, such as the 2016 presidential vote, the tech companies have faced increasing calls from lawmakers and the news media to address their role in that spread of false information and a related increase in partisan divisions. The tech companies have recently stepped up enforcement — but that has led to accusations of political bias, largely from conservatives. YouTube terminated Mr. Jones’s channel, which had more than 2.4 million subscribers and billions of views on its videos, for repeatedly violating its policies, including its prohibition on hate speech. Spotify cited its own prohibition on hate speech as the reason for removing a podcast by Mr. Jones.